Monday 11 a.m. - 1:30 p.m.
Come in for the best burger in Fort Bragg, or try one of our other great menu items! We offer a great atmosphere, with large-screen televisions and draft beer. In a hurry? Call ahead for take out, available Monday - Friday, 11 a.m. - 1:30 p.m.
Buy 10 combo meals at Smoke Bomb Grille and get $5 off your next combo meal! Valid only at Smoke Bomb Grille. 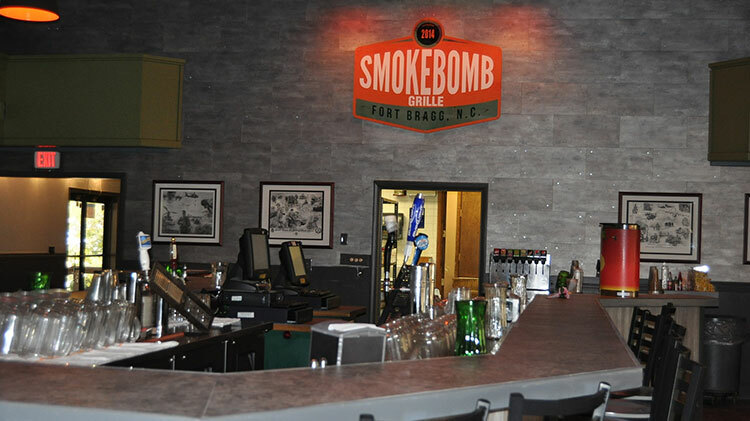 Have you next party or event at the Smoke Bomb Grille! Let us help you plan your next event! Ask about reserving the Smoke Bomb Grille for a private party.